All of the coach training programs here at ICA require the student to be self-directed and accountable for their own learning – from coaching to taking classes, to finding clients and being coached. The entire process also requires you to work with other people, both in your classes and also 1-on-1 with clients and coaches. Coaching is something that is never done solo. From the understanding that coaching requires two or more people to take place, it is not surprising then that every step along the process here at ICA, you will not only have someone to talk to, but more than likely a group of individuals to help you along the way. Peer coaching also enables cross-fertilization between cultures and niches. Coaching allows you to connect with individuals more than we may normally in our everyday lives. When you are looking at the connection between the client and coach, there is no difference between being in person or hundreds of thousands of miles apart, you are still connecting with that person on a deep level. Looking at our programs from a sense of our classroom structure, there are 10 or 20 people in our teleclasseses led by our trainers, and each person has an opportunity to share their voice, to share their feedback and ideas. In one of last month’s Coaching 101 Minutes we talked about Lecture vs Facilitation. Here at ICA, in every single one of our classes, we take on a facilitation mindset. Meaning that our classes are not only built from our trainer’s lecturing, but more importantly, from all the students in the class. Students discuss and share their understanding and discover new ways of learning, new ways of seeing ideas. We talk a lot about reframing perspectives in coaching and we do this in every single one of our classes, helping you to see what you already have in front of you differently, so you can grow and build your life. 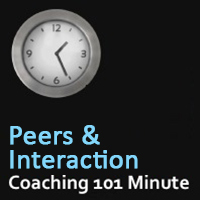 In our peer coaching program you will not only be the coach for other students, but you will have your own coach. It is often a surprise when students come in and find that they will not only learn how to coach, but through the process of learning, they are actually going to be coached. Having your own coach and your own real coaching clients requires you to connect deeply with another individual. Many times you will be interacting with someone who is not even within the same country that you reside. This really helps us to see that the world is a much smaller place. Distance and time does not separate us, we are all connected. 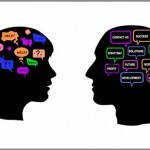 One-on-one, we begin to learn more about the world and about ourselves as individuals. Even though we are an online program, do we have the opportunities to connect with others? Absolutely, beginning on day one. You may have already connected with a member of our Program Advisor team. They are a direct example of what the environment is like here at ICA; supportive, encouraging and coming from a core of coaching. How do I use intuition as part of my coaching skill set? 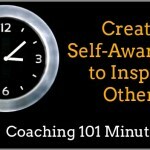 What role does creativity play in being a successful coach? How do I know if I am meant to be a coach? I invite you now as you are reading this to this audio to come on to one of our Coaching 101 classes next week. We have time options across the entire the calendar to fit anyone’s schedule worldwide. We’ll talk more about coaching in general, but also about specific questions here at ICA.